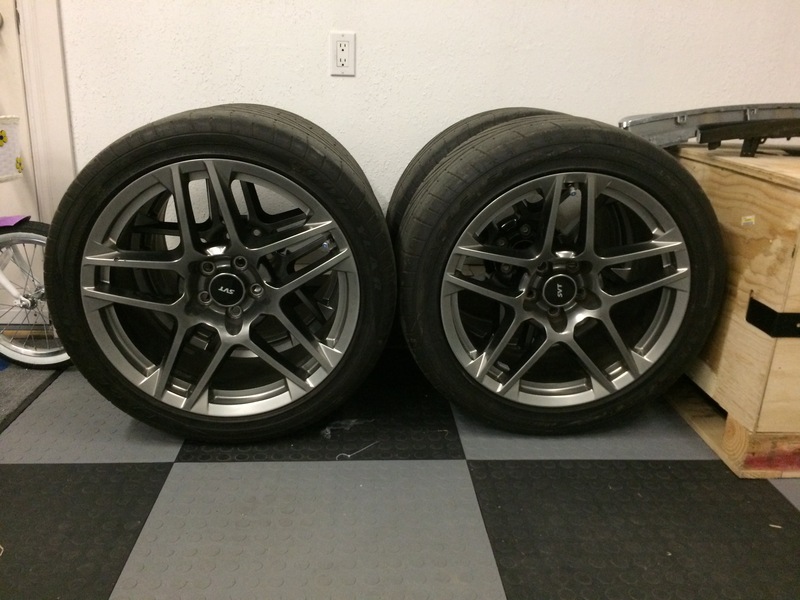 Staggered set with 19" front and 20" rear. Front tires are 265 40/19 and rear are 285 35/20. Tires are Goodyear Eagle F1 Supercar and have less than 1,000km on them. Wheels have 30,000km on them. One of the rear wheels has 2 chips on it that could be touched up and the rest of the wheels are in excellent shape. TPMS sensors are installed and wheel nuts are included. Someone's gonna get a great deal. Those rims are very expensive, so with tires and TPMS included, better start sending PMs. Hi do you have the wheels still?